There has been a LOT of talk about the use of Social Media in real estate. From blogs, to Facebook and Twitter… it seems that everyone is getting in on the action. Heck, when you see TV news outlets publicizing their Twitter handle or Facebook page, you know that Social Media has become a part of everyday life. This is not some creed or manuscript on how to “do Social Media” correctly. These are simple observations that I’ve made while being in the social media space. That may sound cryptic or non-committal to some, but the fact remains: if you are not an engaging person in real life, you will struggle to be an engaging person online. But How Do You Effectively Utilize Social Media? Remember, the medium that carries your message does change its meaning. Understanding the medium, and how it is perceived by others, is crucial to having your message successfully received. It’s one thing to have a personal blog that has pictures of you, your Pomeranian and the occasional rant on the latest coffee offering from Starbucks. Having a blog that people WANT to read takes a bit more focus and intentionality. Once you’ve created a “landing space” or digital home for you or your business, you want to get as many eyes across that space as possible. This is where the effective use of social networks can become very powerful. Consider a bicycle wheel: It has a hub in the center, and spokes leading to the hub come from the rim of the wheel. If we consider your blog the hub of your social media wheel, then the spokes are the various social networks of which you are a member. Each network has it’s own “rhyme and meter” as to how a message travels across its particular medium. For example, Twitter is kind of like a cocktail party. A lot of people, interested in similar things, all talking at about the same time. When one thought or idea catches on in a cocktail party, it rips through the party like wildfire. Once it has run its course, the party is prepped for the next idea or thought. Facebook, on the other hand, is more like the family gathering for Thanksgiving. You can have a conversation with good friends over a more extended period of time, and others may jump into and out adding to the totality of the conversation. Unlike Twitter, this conversation can happen across an entire day, possibly days and be revisited nearly at any time. So, learn how the members of individual social networks utilize that network. I have found that if I fire off a great comment on Twitter that sparks conversation, and I’m not there to respond/reply, the topic dies pretty rapidly. Conversely, if I expect someone to respond within seconds on Facebook, I find myself hitting refresh an awful lot…waste of time. Think of the one time you were at a networking event, social mixer or some other event where business could easily be discussed, and you were cornered by that guy. You know the one I’m talking about, right? See, in real estate, that guy is the agent that talks non-stop about what their buyers are looking for, the homes they are selling, the number of transactions they’ve done or some combination thereof. EVERYONE is tuned into “WIIFM” (What’s In It For Me) and the sweetest sound to anyone’s ears is their own name. Let’s face facts, it’s true! We all perk up when we hear someone mention our name. In fact, this is a key reason that social networks like Facebook and Twitter even exist. We love to hear or see someone mention us and, further, we love to talk about ourselves. Why else would there exist services that allow us to broadcast that we just got a Venti Bold at the local Starbucks and ran into our buddy Joe? Chances are very good that you are not that guy in real life. So, just be yourself online. Jump into conversations, leave comments on blogs, share news items that you find interesting to the folks in your social networks and for the people with whom you are connected and become an online source of information. 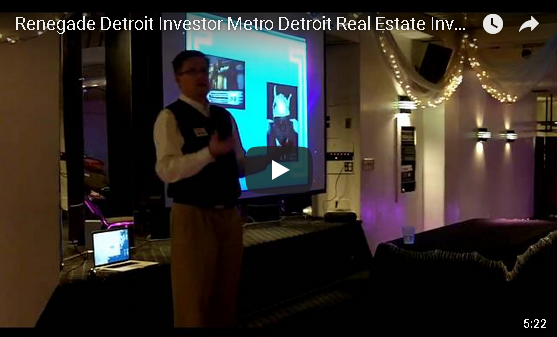 Within the real estate industry, I see one of my roles as being a data miner and prospector. That is to say that there is a LOT of real estate information loose on the internet. It is great that the consumer has access to all this information. Many times, however, the information is stale, inaccurate or simply out of context for the market I work within. This is why, for the folks with whom I am connected, I try to be their real estate data miner and prospector; I want folks in my “tribe” to get the right information and have assistance in analyzing it. Aggregate, Filter, Rinse and Repeat for your tribe. Become that source of information on [fill in your topics] for the folks you are connected to in the social media space. Just as you would carry a conversation at a social gathering and discuss things of interest to you and those around you, replicate that same experience in the social networking space. The added benefit, of course, is that you can add audio, video and other resources to the discussion via hyperlinks. Find the information, sort out what is irrelevant, present the relevant information and repeat the process. We do this instinctively when we enter conversations with people in real life. We talk about that which we know. When we find ourselves talking repeatedly with folks about similar topics, you have identified each other as sources of information. I can not emphasize this enough: simply be yourself. Let’s face it, there is a lot of information on the internet. Even if we simply narrow the pool of information down to real estate, there is still a plethora of data out there. To “wrangle” all the potential sources of information you come across, I highly recommend a Real Simple Syndication (RSS) reader to stay on top of relevant blogs and news sources. My favorite RSS reader is Feedly. With a Google account, you can log in, add your RSS feeds and you will be presented with a “magazine” style feed of your sources. Be sure to make use of the tagging features for ease of reading. Are you using twitter’s list feature? This is a great way to keep track of people across twitter. For example, my Twitter list, toddwaller/f2f is a list of the folks that I have met face to face. I use twitter lists to aggregate the people I’ve met, folks I would like to keep up with and folks that are geographically close to my office. Another feature of Twitter that helps keep track of events and news relevant to you, are hashtags. These little buggers (#) in front of some characters easily help stay on top of conversations. #BackChannel is a great local hashtag to follow. It was started by Stephen Clark of WXYZ Channel 7 as a way for him to connect with the social media crew on Twitter and “break the glass” between news caster and news viewer. As for twitter applications, I recommend looking into Hootsuite or Tweetdeck. Both are pretty powerful applications that allow you to slice and dice your twitter stream according to how you would like it organized. There is much more that is out there to learn about using Social Media for your business. There is simply no right way to go about using Social Media. Your results truly depend on what goals you have for utilizing Social Media. Want to connect? I’m happy to share and show what I’ve picked up or learned along the way. Professional One | Step Up! | 734.564.7465 | Connect!